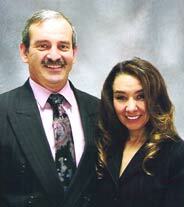 Pastor Dennis and Corrine Gallegos, natives to Gallup NM, has led this non denominational church for 21 years. Starting in a basement, then moving to a store front, then moving into a pool hall and finally establishing The Joshua Generation for Jesus Church at its current location. Pastor Dennis Gallegos, a former construction worker and a licensed construction business owner, has built this Church building from the ground up. Every step of the way Corrine and Dennis have been inseparable. Making decisions to build a church building that has everything Gallup needs to minister to the city’s people. 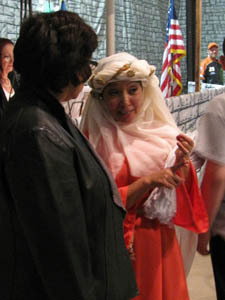 Corrine Gallegos promotes drama and dance at Joshua Generation, the visual presentation of God’s Word is her heart’s desire. God has given her the vision of this very important ministry. Corrine and Dennis remain artists seeking to present God’s heart to all who will see, hear, sing, dance and play with Our Father in Heaven. As a preaching team, they are dynamic and powerful in the Word of God. Both are unwavering to the truth of God’s Word. 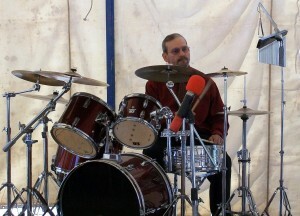 As Pastor Dennis says, “I want all of Gallup saved.”. This is the heart of Joshua Generation for Jesus reaching out to all peoples and nations.